I made "reading more" a part of my 30 Before 30 list. I also set a personal goal of reading a book a month during 2017. I've always enjoyed reading, I just never made it a priority and never set aside the time for it. I didn't think it would be something I stuck with, but so far, I've surprised myself! 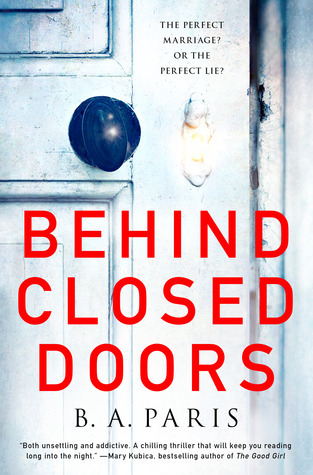 I read The Couple Next Door by Shari Lapena in January (didn't love it) and Behind Closed Doors by B.A. Paris in February. I am a sucker for any type of page turner mystery novel. I mean, I grew up helping MK+A solve any crime by dinnertime, after all.... Behind Closed Doors did not disappoint. After The Skimm and Emily from The Sweetest Thing both recommended it, I knew it had to be good! With Jack and Grace it was love at first sight. Jack's tenderness towards Grace's sister, Millie, who had Down's Syndrome, won Grace over in an instant. They were the perfect couple. But, after the wedding, Grace discovered some things about Jack she didn't love.... but I won't give anything away! The book chapters go back and fourth between past and present - bouncing between the wedding and early stages of marriage to the present, troublesome time. I read it quickly - I even stayed up late reading and woke up early before work the next morning to finish it! I will say that the first few chapters were just so-so, but once the big secret is revealed, you can't put it down. And, the ending was perfect.....I hate it when I devote time and energy into a book and the ending is terrible! Do you have any book recommendations? I'll be picking out my March read soon! In recent episodes of Fixer Upper, Chip has made it a thing to "pass the baton" to Joanna, meaning it's time to decorate! We are FINALLY nearing that stage at our White House on the Prairie!!! The renovations are almost complete. They are finishing the wood floors today and will start painting on Monday....then all that is left are the final touches like installing light fixtures, hanging bathroom mirrors and shelves, hooking up the sinks and toilets, etc. I CANNOT WAIT! We think [hope] it will be done by the end of February. I have been day dreaming about how to decorate this house for months and months. I am ecstatic to get our stuff in there, get organized, figure out where everything will go and make it our home. It has come such a long ways since October! Every night when we stop by to see the progress, I hate leaving. I can't wait to live there....I might never leave, ha! I included a few sneak peaks below, but stay tuned for the real before and afters soon. The only bad part is that our old house hasn't sold yet. We want to keep it staged while it's on the market, so we might be moving to the new house with just our clothes, kitchen stuff and an air mattress! Luckily we bought a new refrigerator, couch and TV.....that's basically all we need to survive, right? Thanks for reading! If anyone wants to hire me as an interior designer, I'll accept payment in the form of Starbucks gift cards and/or homemade cookies. I've gotten more comments on my Bernese Mountain Dog phone case than on any other phone case in the history of phone cases. Not that I blame you......it's the cutest thing, ever. The best part: the design is easily changeable and the case is protective - drop test approved - and affordable! With Casetify, you can purchase the New Standard Case, and then buy as many backplates as you like! I started out with a basic white girl PSL + Berner plate, then I went for the Classic Christmas vibe, and now I'm rocking the Berner + Cactus backplate. 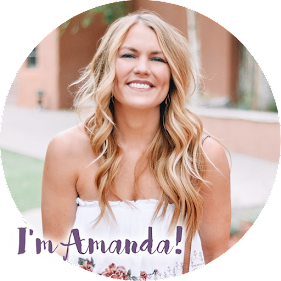 It's so easy and fun to switch your look out seasonally, and each backplate is only $15, so it's budget friendly, too! You can even upload artwork or pictures to design your own. I have a whole gallery of favorites saved for when I get the itch to change things up. There are few things in life that I love more than Berners and cactuses, though.....so this one might stick around for a while. Sorry not sorry. Casetify has millions of styles, dog breeds, designs....you name it! They even offer cases for laptops, Apple watches, iPads and several other brands of phones. My only complaint is that shipping takes a while (they custom print each case), so if you are ordering something for a specific season, do so in advance! 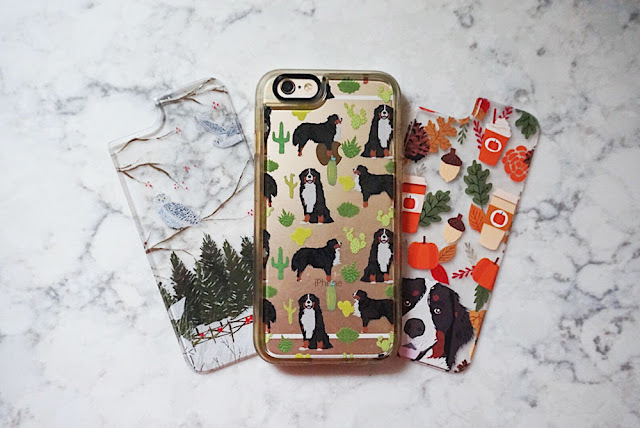 If you want to try Casetify out for yourself, use this link for $10 off. You'll have to let me know what design you choose! P.S. Can we talk about the countertops?!! They were just installed at our new house a few days ago. I CANNOT wait to move in - hopefully everything will be ready by the end of the month!